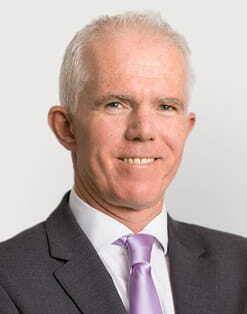 Richard McNamara was appointed group chief financial officer and became a member of GAM Holding AG’s Group Management Board in 2015. Before joining the Group, Richard was managing director, finance, at Henderson Group, a role he had held since 2013. He joined Henderson in 2009 as head of group finance, focusing on finance and financial operations, including M&A activity. In 2013, he took on the new responsibilities for tax, investor relations, facilities and procurement. Prior to his roles at Henderson, Richard held senior finance roles at Western Asset Management, Legg Mason and Citigroup Asset Management. Richard is a chartered accountant and holds a BA (Hons) in finance and accounting from Brighton University. He started his career at PricewaterhouseCoopers where he was a senior manager in the investment management industry group. Richard was born in 1968 and is a UK citizen.